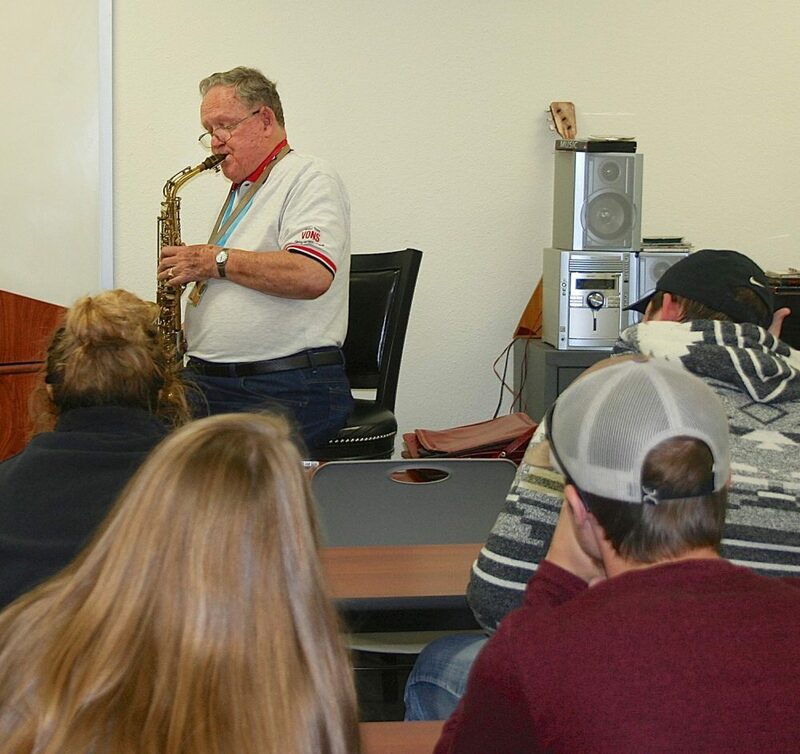 PJC-Sulphur Springs Music Instructor Richard Shanks plays a selection on the saxophone for his classroom of students that he will play at his 60th high school reunion in Beeville, TX this fall. Shanks was drum major his senior year at Beeville. Following graduation, he enrolled at the University of North Texas where he also became drum major. He attended his 60th reunion at UNT this summer.